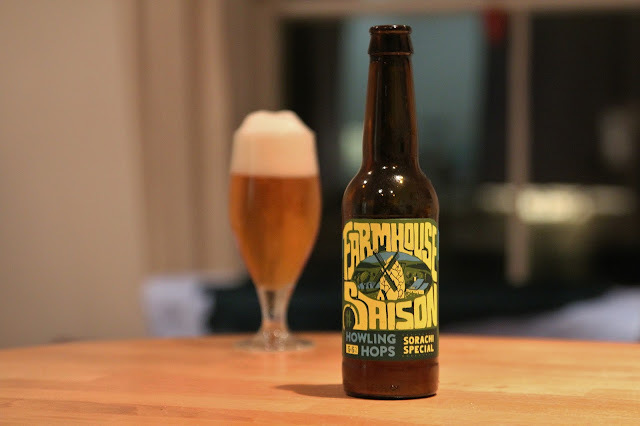 I snared this saison at BottleDog in London. The beer pours mostly clear yellow-gold, highly effervescent, with a billowing, frothy and pure white head. Pleasant citrusy hops in the aroma, augmented with some dry wheat, pale bread, zesty lemon, tangerine, pithy grapefruit. Light to medium sweet flavour with mellow bitter grain husk, more citrus peel, some grass, wheat bread, and subtle saison yeast expression. Light to medium bodied with lively carbonation. Nicely balanced on the finish, with well rounded citrusy hops, more lightly dried wheat bread, some straw, tangerine, lemon meringue, mild pithy grapefruit, biscuits. Well, this is pretty great stuff overall. Super drinkable, with a nice amount of complexity. Great work.